<!-black-> Note: this download will easily give you all 74 web pages at one time. There is no clipart and animations nor are there any major cross links in these web pages. What can you do with such a free commentary? You can use it on your computer to study God's Word or to get some ideas for sermons or bible lessons. You can quote it, copy it, print it, publish it, or share it. If you are associated with a library in your town or city that needs "electronic books", I invite you to download free this book and add it to your library's collection. If you like this book, please tell your friends about it so they can download it also. Left click on this link and choose "save to disk". The disk it is referring to is your computer's hard drive disk. Left click the ok button and the zip folder will be downloaded (probably to your computer's desktop by default). Find the zip folder on your desktop. Because it is a zip folder it will not respond like a regular folder will because it is only made for download purposes. Left click the zip folder on your desktop to open it. Then you will see a folder titled by the same name, "Genesis- the way I see it". Right click on that and choose "cut". Left click on that. Choose a good location on your computer's C drive (main hard drive), right click and choose "paste". Left click on that. Your computer should paste the folder there. All 50 chapters of Genesis will be there for you to enjoy. Once the cut and paste procedure is a success, delete the zip folder from your desktop. <!-black-> Another way of downloading the Genesis commentary is to download one web page at a time. This will also give you the clipart and animations but the cross links will not work. <!-black-> Note: Just click on the forward arrow at the bottom of each web page to progress to the next page to download it. Keep in mind there are 74 web pages in Genesis. You might want to add these pages to your favorites or bookmark them so you can easily return. View the web page. While you are looking at it, click on the "file" button in the upper left hand corner of your browser. Left click on "save as". Left click on the "save" button and the web page will be downloaded to your computer. View the web page. While you are looking at it, click on the "file" button in the upper left hand corner of your browser and left click on "save page as". Left click on the "save" button and the web page will be downloaded to your computer. If you do not have a "file" button, right click on the web page where there is no clipart or animations and left click on "save page as". Left click on the "save" button and the web page will be downloaded to your computer. <!-black-> Besides the bible book of Genesis, I have written devotional commentaries on other books of the bible. Feel free to download any or all of them. <!-dark green-> Click here to go to the bible index webpage to find the selected bible commentary books to download. <!-black-> Feel free to recommend this free devotional commentary to your friends and family members. 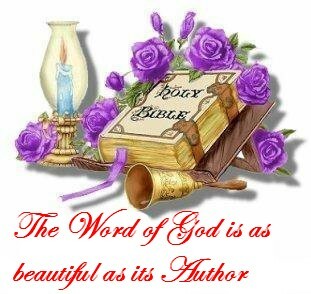 May Christ richly bless you as you continue to study His word.